2) we have color card with 400 different colors,also buyer's colors are acceptable. Over 19 years experience in our customers in tailoring material products export business with more than 100 countries through our global branches in 35 countries. We provide more than 10000 items of tailoring material products with one-stop service.We not only have own factoies for threads, lace, ribbon&tapes, also we set up close and long-time cooperation with thousands of factories for different tailoring material. Customers can choose items from our catalogue or webiste or just send us their samples or describe what their need, they can get from us through our supply chain network, they don't need to spent lots of time to buy from dozens of suppliers. Customers will pay less overall cost through MH. Suitable products that match your market needs--less stock; on time delivery--better sales with good price; convience logistic service--less shipping cost, shorter shipping time, quicker custom clearance; finance support--less cost with quick response. We help our customers to extend their business. Our goal is to be as customers' partner with providing cost savings, reliability, and accountability! We offer high quality to suit customer's market. No other companies can do the same quality and a convenient price as the way MH do, MH has the best quality and service! MH customers will have the advantage over the other suppliers because end-users trust MH's quality. As a customer centric company, everyone is working hard to exceed customer's expectations. It's a MH team to service for each customers, not a single sales which customer normally contacts with. Sales, sales assiatant, QC, logistic expert, product expert, that's a standard MH team corporations for customers. 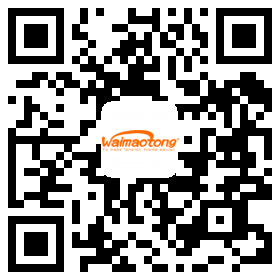 By this way, we assure customers having the same good service and same good quality products for each order. Company Name:NINGBO MH INDUSTRY CO., LTD.